President Trump's decision to pull the US out of the Trans-Pacific Partnership (TPP) may open the way for China to step in and fill the vacuum. Earlier this week, Donald Trump signed an executive order ending the participation of US in the trade deal. The President also promised to renegotiate the North American Free Trade Agreement (NAFTA) sealed with Canada and Mexico. 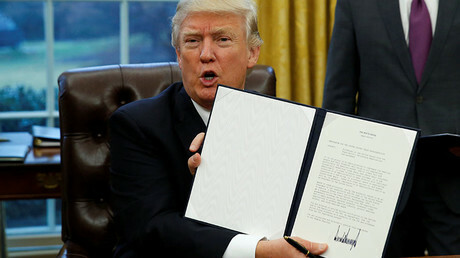 TPP was signed last February by the US, Japan, Malaysia, Vietnam, Singapore, Brunei, Australia, New Zealand, Canada, Mexico, Chile, and Peru after more than five years' negotiation. The countries account for more than 40 percent of the global economy and nearly a third of the world trade. Japan, Mexico, and Australia have already said they intend either to try and keep the deal functining or to reshape it into something similar. Trump’s move has been criticized by some. “Trump has single-handedly given away an enormous source of leverage over China. The first rule of negotiating is don't give away something for nothing, and he's done that right off the bat,” said Edward Alden, a senior fellow at the Council on Foreign Relations, as quoted by CNN Money. “It will create an opening for China to rewrite the economic rules of the road at the expense of American workers,” said Senator John McCain, a former Republican presidential nominee. China is pursuing its own trade deal known as the Regional Comprehensive Economic Partnership (RCEP) and involves the ten member states of the Association of Southeast Asian Nations (ASEAN) and the six states with which ASEAN has existing free trade agreements, including Japan and Australia. 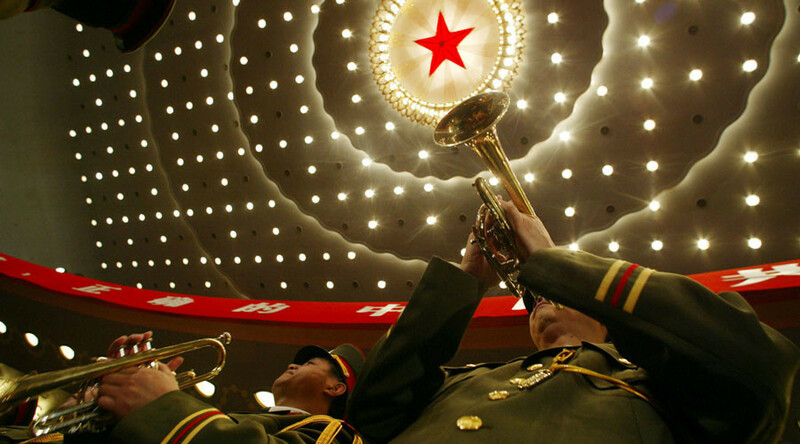 If the deal succeeds, China could become the center of a vast free trade area. “We are willing to work with all countries to pull together in times of difficulties so that we can fulfill our responsibility and make our effort in resolving problems facing the world today,” the Chinese foreign ministry said on Tuesday, adding that significant progress has been made on RCEP. Last week, Chinese President Xi Jinping delivered a speech in defense of globalization, warning against protectionists who want the end of free trade. At the same time, China has been accused of protecting its big state-owned corporations at the expense of foreign firms as well as limiting access to its domestic market.